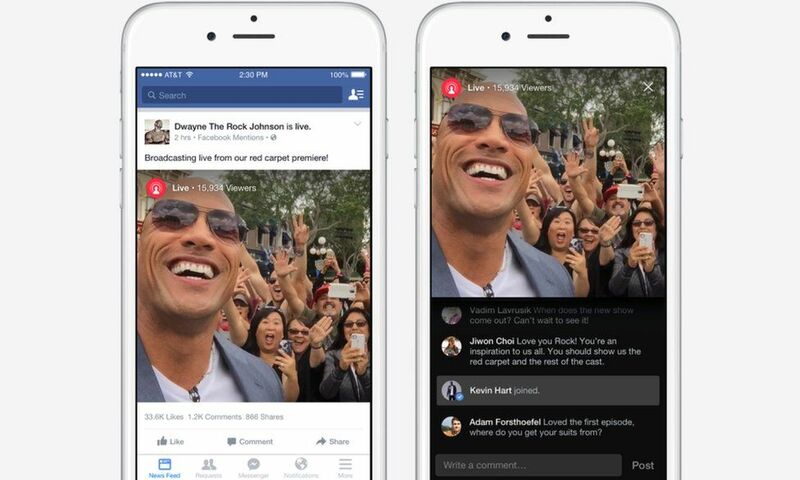 Yes that’s right, you can now watch your favorite celebrities live as they broadcast using the new Live for Facebook Mentions. Every day, thousands of high profile celebrities take to their social media campaigns to keep their fans happy by posting current affairs, or the typical dinner pictures, but Facebook has now jumped into the live video with their Live for Facebook Mentions feature. Much like Periscope, although only limited to high rollers with a fanbase, this new app allows users to stream live video, while also getting interactions with their fanbase, where they can post text comments or questions. This is a great social interaction application which will no doubt become popular with a number of high social user celebrities around the world. This seems like a great idea releasing this for just celebrities, as I have yet to see anyone famous use Periscope, and is a good tool for building popularity and fanbase further for every celebrity that uses it, I mean who wouldn’t want to see what celebrities get up to in their spare time live while its happening in-front of the celebrities eyes, and completely un-edited, I know I will be tuning into a few of my fans when they decide to broadcast live from their mobile device. A few of the popular tech savvy celebrities are getting in on the action, some are a little confused on their first live video broadcast, including this from Ricky Gervais. Don’t panic though if you heard from your friends that you missed something on a live broadcast, as these videos are saved for your viewing pleasure. You can find out a little more about the app on the Facebook Mentions website, and by the looks of it, celebrities can see what their fans are currently talking about by using the trending feature of the app, great if they would like to make a post or a video on a topic their fans are looking at, a great little way to boost their profile even more, thats for sure. So when can we (Joe Public) get our hands on this, or are we all just going to be stuck with Periscope?